It's Rainbow My Glowing Unicorn. With her rainbow mane and tail, she's the prettiest unicorn! 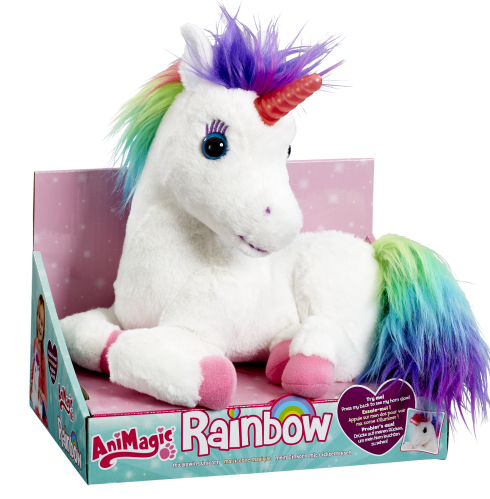 Rainbow loves hugs and cuddles and when you stroke her back, her horn glows with magical colours and she will make cute unicorn sounds. 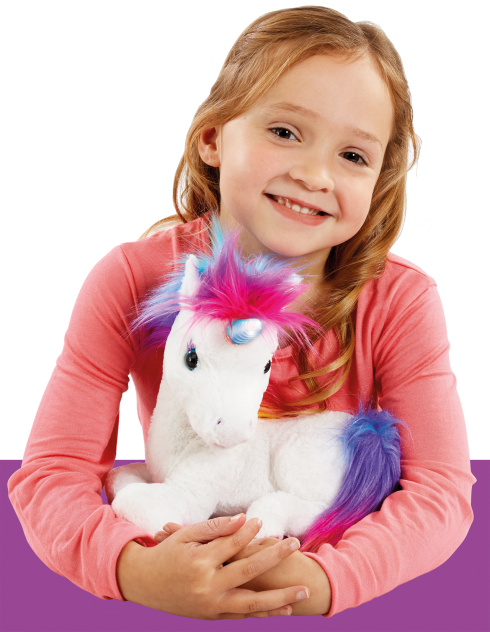 Look at Rainbow’s magical rainbow mane and tail, she’s so pretty! Rainbow loves being stroked and cuddled. Stroke her back to see her horn glow different colours!